You are here: Home / Water Testing / Private Water Supplies / Even more convenience for our customers! Even more convenience for our customers! 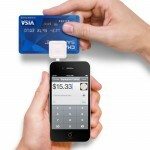 New Leaf takes another step toward customer convenience by introducing the Square Up system as a payment option. In addition to online invoicing and bill pay, customers can now pay for our services with a credit card at the time of the inspection or test using the Square Up system. Interested in checking it out? Click here fo r a link to Square Up.